Featuring a statement gold butterfly with sparkling crystal accents, this side tiara is the epitome of vintage inspired prettiness. Exquisitely blending statement style in a delicate filigree design, Angel's Wings Side Tiara is the essence of beauty. 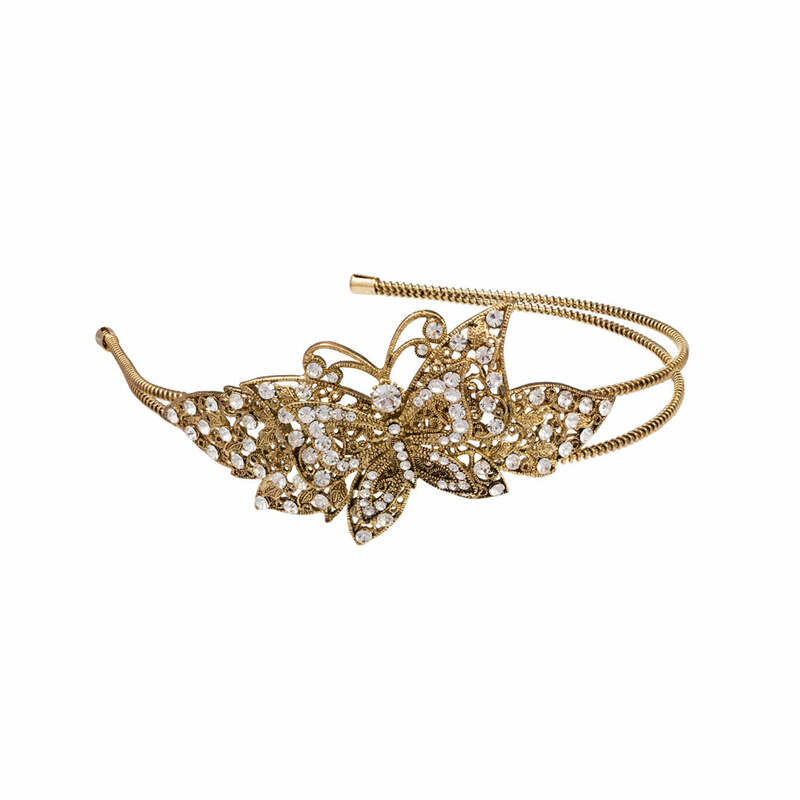 Featuring a double row antique gold tone headband with an impressive double layer ornate butterfly encrusted with sparkling Austrian clear crystals, this stunning hair accessory looks like a treasured family heirloom, lovingly handed down to each generation. 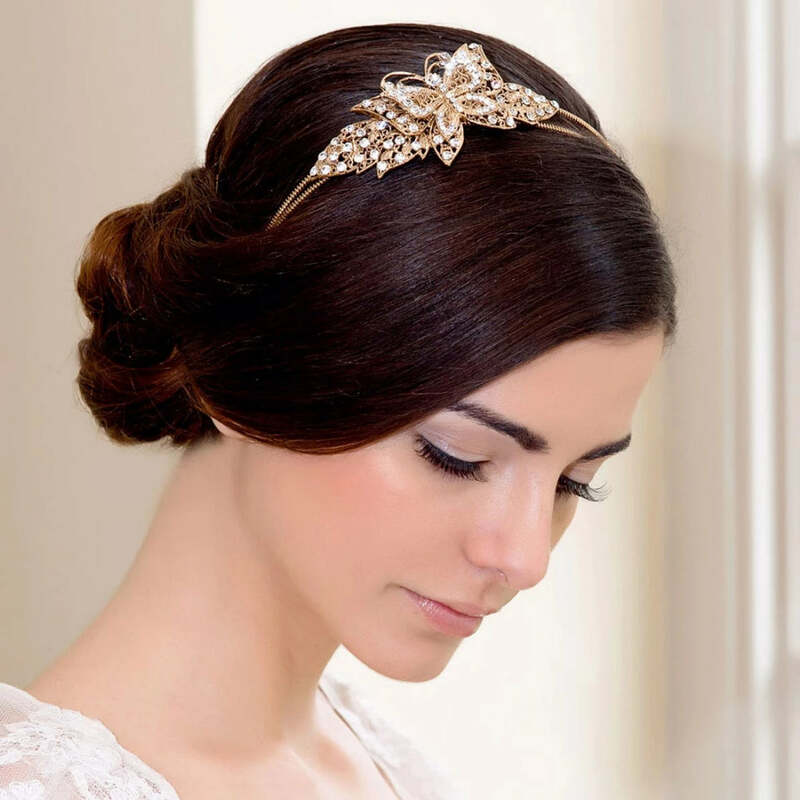 With vintage inspiration and the delicateness of the prettiest fluttering creature on earth, this gold butterfly side tiara is just beautiful for brides and bridesmaids, particularly those with a spring wedding theme. Perfect for guests to wear to summer weddings and the races instead of a hat and for glamorous evening occasions. I was indecisive about buying this hair piece as it looks like a very yellow gold but it's really not and I was delighted when it arrived. It's more of a vintage gold and the crystals aren't as brilliant white. It's gorgeous and to make it better, it's not heavy in the slightest but still sturdy.